They deserve to be treated humanely. Animal behavior is fun and interesting. Burrow-dwelling small mammals, like the desert cottontail rabbits common to Southern California, will sometimes ride out surface fires underground. As long as the animals' holes remain well-ventilated, most burrow-dwellers make it through the majority of fires just fine, that report said. Critters that spend their lives above ground, however, such as the jackrabbits also common to the region, generally flee the flames. While a few individual animals might die in any given fire, populations of most species are well-equipped to make it through with only small losses, the Forest Service said. And afterward, many small-mammal populations boom in fire-stricken areas, as more food and nesting grounds become available, the Forest Service wrote. 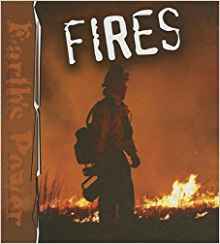 Some people might assume that animals are as scared or as endangered by fire as people are, but there's no good reason to think that's the case, Komarek cautioned. In fact, Komarek said, some critters have very good reason to run into a fire: to save their young. If you see a wild animal moving around near a fire, the best thing you can do is leave the creature to its business. It knows what it's doing. Big wildfires, like those tearing through Northern California, can hurt some animals—while others escape, and some species even thrive. Some wildlife species have evolved to live with fire, for them the scenario is not so dire. Many animals have some ability to escape the heat. Birds may fly away, mammals can run, and amphibians and other small creatures burrow into the ground, hide out in logs, or take cover under rocks. And other animals, including large ones like elk, will take refuge in streams and lakes. A moderate level of fire in areas where it naturally occurs may also increase the “patchiness” of forests and create a wider variety of micro-habitats, from open meadows to re-growing forest, research shows. Having a diversity of biomes supports multiple species of animals and the ecosystem as a whole. Scientists don't have any good estimates on the number of animals that die in wildfires each year. 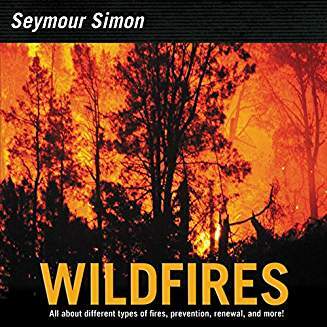 But there are no reecords of fires—even the really severe ones—wiping out entire populations or species. Many species actually require fire as a part of their life history. Heat from the flames can stimulate some fungi, like morel mushrooms, to release spores. Certain plants will seed only after a blaze. Without fire, those organisms can't reproduce—and anything that depends on them will be affected. So, although fire can have unexpectedly positive outcomes for some species, too many blazes are bad for most. Since the early 1970s, the wildfire season in the western U.S. has grown from about five to more than seven months. Climate change drives up temperatures, causing the snow atop mountains to melt, and making forests deprived of that moisture more susceptible to burning. As Kennedy says, fire is a bad thing when it happens in your backyard. But to an extent, it can be a healthy event for a forest—and for at least some of the animals that live there. In general, wild animals are good at dealing with wildfires, scary events that are still more or less regular features of many ecosystems, according to ecologists. 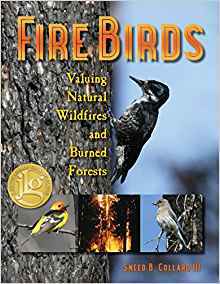 When a wildfire moves through an area, according to a January 2000 report from the U.S. Forest Service, the blaze usually fails to kill very many animals outright. Ask me a question about animals at mjnickum@hotmail.com or mjnickum@cox.net. Your answer will appear on the "Answers to Questions" page.